This is a fast preparation and can be made without any advance planning. As it has a spicy taste, it goes well with any of the meals. Soak tamarind in a cup of water for about an hour. Deseed it and separate the pulp. Mix the cut chillies, hing powder, salt and tamarind pulp thoroughly. 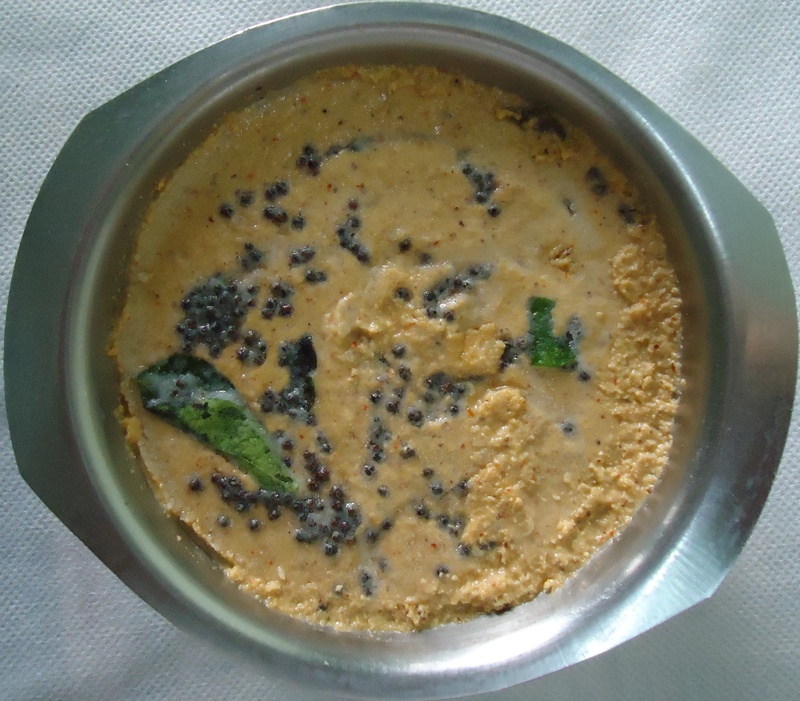 Do phannu(season) with mustard seeds and curry leaves in coconut oil. Crush the papads and add it to the above mix. This can be preserved in a fridge and used for as long as a week. Option: Chopped onions and corriander leaves can be added according to the taste.